Einstürzende Neubauten are a fascinating and long-lasting band, and one of a relatively small number of German bands that both regularly sing in German and manage to have a following in English-speaking countries. While they have consistently embraced experimentation, philosophical songwriting, and custom-built instrumentation, they have changed quite a bit through the years. From their earliest days as a percussive, punk-inspired noise band, they evolved through the 80s into something of an avant-garde industrial band. The height of their English-speaking popularity probably came in the 90s, when frontperson Blixa Bargeld started occasionally writing in English, their music began fitting into existing structures and patterns, and they even sometimes embraced melody. They were early adopters of not just a multimedia and internet-enabled experience, which seems to have kept them active and productive when they otherwise may have broken apart, but also the idea of self-releasing music instead of depending solely on mainstream distribution. However, even being the longtime fan that I was, I started to get somewhat skeptical of the band in the late 00s. Their supporter's projects sounded cool, but they were too expensive for me at the time. Besides, the most of the songs on the first supporter's album ended up (albeit in alternate forms) on the public-release Perpetuum Mobile, which was clearly the better album anyway. The second supporter's album, Grundstück, wasn't very good, and the third, Jewels, wasn't either, and it even got a public release, despite earlier claims that it would not. The next major release, Alles wieder offen, had some great songs but on the whole seemed like a step down from their earlier albums. During this period, they also had released a series of eight highly experimental albums that I had no interest in whatsoever. The last blow was when they were forced to cancel their planned USA tour in 2010 due to visa problems. At that point, the band seemed to enter a period of less activity. It wasn't until 2014 that they released another album, Lament, and it still remains unreleased outside of Europe (and Hong Kong!?). Disappointed by recent albums and discouraged by the rather high cost of importing the album, I abstained from acquiring it until a friend remarked that the album was "absolutely astounding" in terms of "packaging, production, fidelity, performance, composition, and theme". That was plenty enough to convince me to give it a try! I was not disappointed. 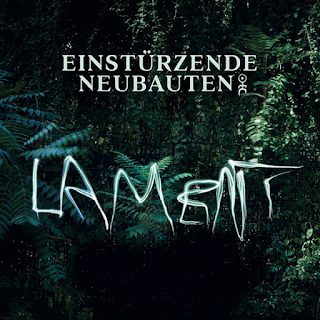 Lament is not at all like previous Neubauten records, although it is decidedly an album by the same band. The hallmark of self-made instrumentation is abundant in spades, and Bargeld's precise, dramatic vocal delivery immediately identifies this as the work of Neubauten. But where previous albums were focused on matters of theory and concept, this album is firmly grounded in a very real and specific historical event: the assault on Diksmuide, Belgium by the German army at the outbreak of World War I. The town commissioned the band to commemorate the hundred years' anniversary with a performance work, which was also "recreated" in the studio. The album starts off deceptively quiet, but the gradually increasing clattering of "Kriegsmaschinerie" is meant to be read along with a text that describes the slow buildup that leads to war. This first track already proves that this is an album that requires more than just listening: the accompanying liner notes of the physical editions are essential. (The additional descriptions found on the band's website are also quite helpful.) Many other songs greatly benefit from the additional contextual information. The centerpiece is a trilogy under the title of "Lament". It starts with an almost ambient piece of multi-layered vocals that builds up to the phrase, "die Mächtigen lieben den Krieg" ("the powerful love war"). This is followed by a downward spiral and then an adaptation of a Renaissance motet written by a composer that lived in Diksmuide. The latter is accompanied by the voices of various prisoners of war who were recorded by German linguists to document the wide variety of dialects and languages throughout Europe. It's a tricky matter to handle, but Neubauten treat it with the respect it deserves. The last part of the album changes track a bit. "How Did I Die?" is an original composition that fits into the Neubauten canon well enough that it could have appeared on past albums without seeming out of place. "Sag mir wo die Blumen sind" ("Where Have All the Flowers Gone?") is a Pete Seeger song from the 1950s, translated into German and performed widely by Marlene Dietrich. The band's version is a rather minimal arrangement, but it's great to hear them take on the folk standard so successfully. "Der Beginn der Weltkrieges 1914" is a dramatic reading of a short story from 1926 telling of the onset of World War I from the perspective of various animals. It's a rather long track, and perhaps the one with the least relistening value, but it is particularly notable for ending with the appearance of Hitler! 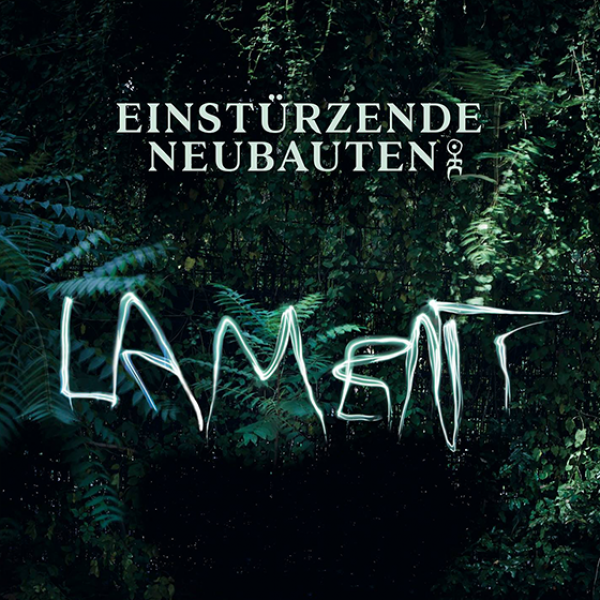 While Neubauten have worked in theatre and have composed soundtracks before, this album is special for being a unique production with its own narrative and structure, but incorporating a wide variety of other sources. While an album so full of adaptations and covers is certainly an unusual step for the band, it seems to have rejuvenated the band and restored them to their creative best. The fact that it comes off so well in terms of content and sound makes it a resounding success. Considering how wonderful some of Neubauten's older cover versions are (Lee Hazelwood's "Sand" and Bonnie Dobson's "Morning Dew"), I wonder if Neubauten have an underappreciated talent for rearrangement and recontextualization. P.S. The one flaw of the album is that several sections of the liner notes are plagiarized straight from Wikipedia without credit. For example, the bit on the Harlem Hellfighters is copied from here, and the section on "Where Have All the Flowers Gone?" is copied from here. The description of Joseph Plaut is clearly translated directly from his German article. Considering that the band supposedly hired two historians to help with their research, and Hartmut Fischer is credited with "literary research and text compilation", I would've expected someone to have treated that matter correctly. P.P.S. Also, on "Achterland", Hacke is credited with performing "amplified crotches". This is clearly a typo and should read "amplified crutches", but I was slightly disgusted and humorously confused until I realized the error.